AIDA64 Business Edition is an essential Windows network management solution for small and medium scale enterprises. 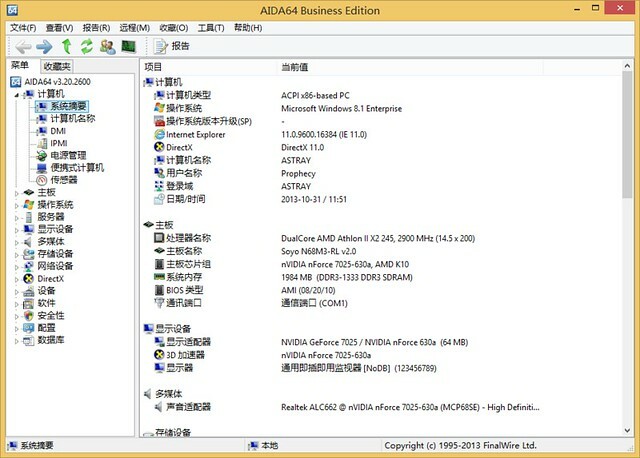 AIDA64 Business Edition provides a wide range of features to compile, manage, and analyse hardware and software inventory of corporate computer networks. Its capabilities cover local and remote system diagnosis, network monitoring, remote control, and license management. AIDA64 is compatible with all current 32-bit and 64-bit Microsoft Windows operating systems, including Windows 8.1 and Windows Server 2012 R2.